I’d like to introduce to you ‘My Squeeze’! A reusable food pouch / squeezie for babies and young children that can be filled with any squeezable snack of your choice! They are BPA, lead and phalates free. Introducing ‘My Squeeze’! A reusable food pouch / squeezie for babies and young children that can be filled with any squeezable snack of choice! 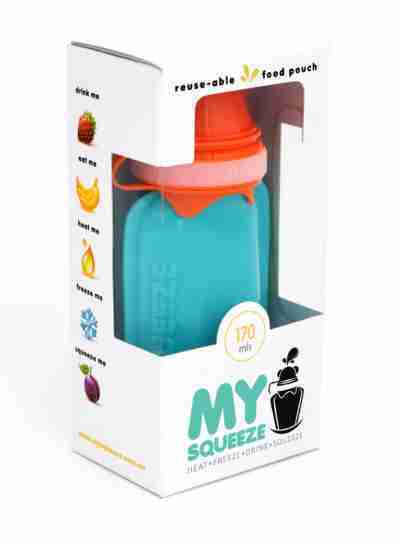 Recommended for children 6 months and older, My Squeeze is a great option for homemade baby food when you’re out and about with your little one. 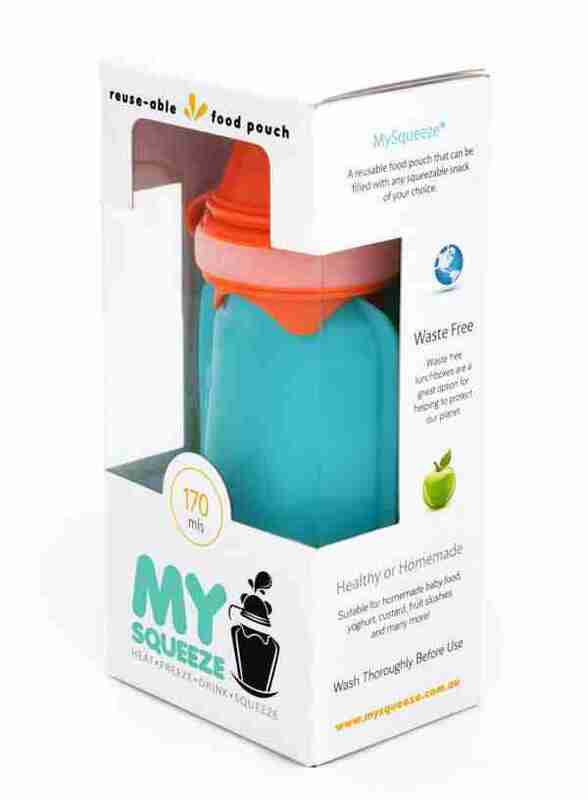 With day care centres and schools moving towards healthier and waste free lunchboxes, My Squeeze helps parents reduce waste from the prepackaged ‘squeezies’ while also saving you money in the long run! Parents will know exactly what their little one is eating and the food options are never ending! A few favourite’s are homemade baby food, yogurt, custard, jelly, fruit slushies, smoothies, chia seed puuding and more! 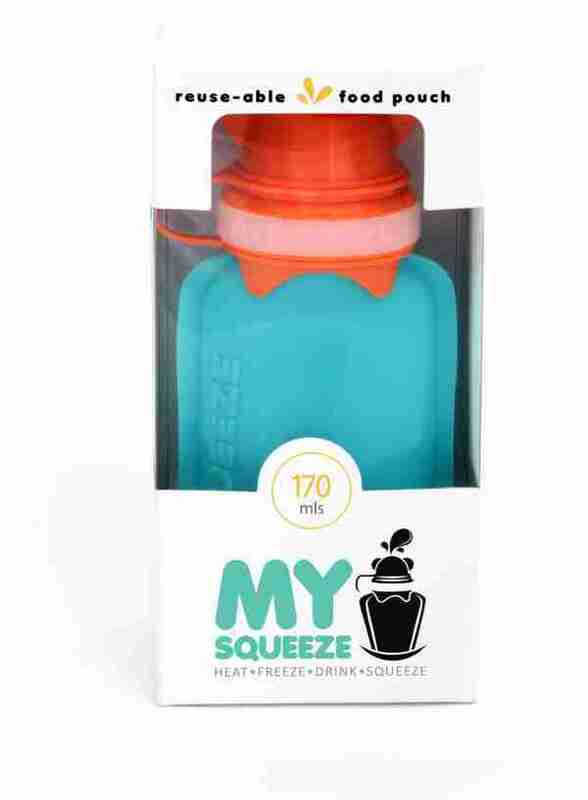 My Squeeze can be frozen to keep lunchboxes cool or just as a refreshing treat throughout the day. Made from food grade silicone for easy squeezing and a wide neck for easy filling. My Squeeze is fully reusable which will save you money and also help the environment by eliminating the need for single serve disposable products. They are BPA, lead and phalates free.